Malaga lies on the Costa del Sol of the Mediterranean, about 100 kilometres east of the Strait of Gibraltar and about 130 km north of the African coast. The most important economic sectors of Málaga are tourism, construction and technology services. The port of Malaga underwent profound renovations in recent years; it now hosts among other attractions the Centre Pompidou Málaga, opened in 2015, a branch of the Centre Georges Pompidou in Paris. Diversify Malaga's economy (decrease the dependency on tourism and construction). Urban life is beautiful, and people look forward to bringing their family up in Malaga. Malaga develops into a business hub for nature-based solutions. Funding for nature-based solutions is provided through "Social finance ecosystem", a fund that supports new local businesses, community projects, social enterprises. New parks and green playgrounds are developed in neighbourhoods that have previously been deprived of high-quality environments. The city of Malaga adopts a new development strategy based on nature-based solutions, picking up many experiences and examples from other cities in the Connecting Nature project. Different neighbourhoods have set up "Connecting Malaga" clubs and play a key role in understanding the needs and resources of local citizens. Biodiversity is now seen as integral part of urban planning. Access to green spaces in the immediate vicinity of all residential neighbourhoods is guaranteed for all. The university in Malaga now offers a new programme in Green Infrastructure, helping to train a new generation of entrepreneurs and planners. A new rain water capture system drastically diminishes the need for freshwater and sewage treatments. Climate-change adaptation measures allowed most houses along the beach to stay above water. Malaga is known world-wide for good practices in nature-based solutions, especially regarding successful business models. 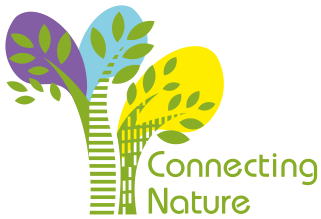 The city hall creates a new position: "nature-based solution city maker", overseeing many aspects of social and economic development in close cooperation with communities. Malaga has attracted numerous companies active in nature-based solutions, turning the region into a globally relevant hub in the NBS business. Quality of life has drastically improved, employment in real jobs has been transformed.